One of the last surviving gates into the town. It functioned as a tollgate where taxes were levied on goods entering the town. Originally it would have been a more formidable looking structure with at least two storys above the arched gateway. From its design and the character of the stonework, the Tholsel appears to be of late-mediaeval date. The Tholsel or “town-gate” is the only remaining example of its nature in Carlingford and one of the few left in Ireland. Originally it was three stories high—the present appearance due to alteration made in the 19th century. The original function was of course to levy taxes on goods entering the town—the murder-holes on the side of the walls are testaments to that fact. In 1834 it was used by the Corporation of Carlingford for meeting and a Parliament is said to have used it to make laws for the Pale. 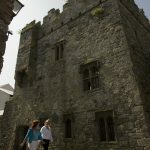 It was also used as a town gaol in the 18th century. Detached single-bay two-storey former gate house and tholsel with integral carriage arch, built c. 1450, extensively repaired in the nineteenth century. Single-storey ruined block attached to north-east, gaol cell to east ground floor north elevation. Pitched slate roof, clay ridge tiles, limestone verge coping. Random rubble walling. Pointed arch window openings, limestone voussoirs to north window; loop window to south elevation. Segmental-arched gateway, squared limestone voussoirs, evidence of wattling construction to vault. Pointed arch entrance to north section giving access to upper level via steps. Sited on the original medieval boundary of the town, the south elevation facing outside town walls. 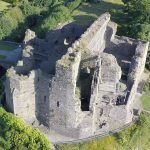 Extensively repaired by Lord Anglesey in the nineteenth century, the gate house and tholsel is a reminder of the medieval foundations of Carlingford. The building would have accommodated meetings of the town council, as well as monitoring passage into and out of the town. 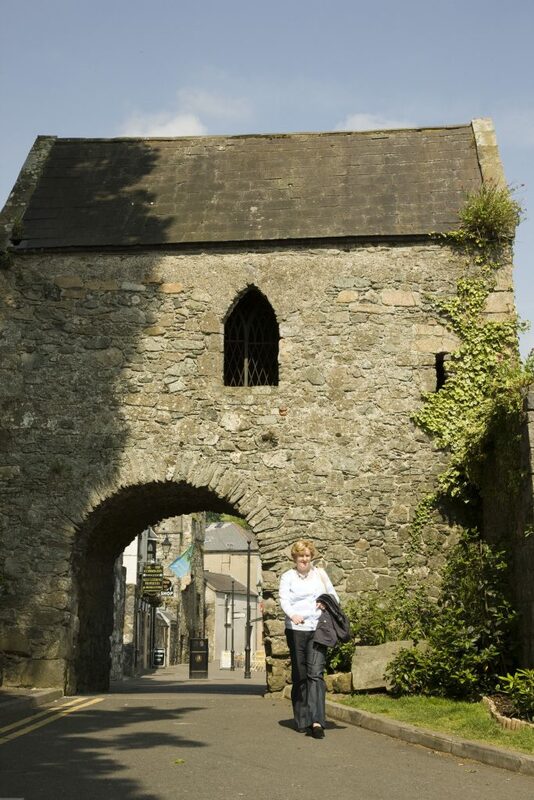 There are few remaining medieval city gates in Ireland, making this a building of great importance.